Mahindra & Mahindra offer the Marazzo with standard double airbags, ABS, SBR for driver and ISOFIX anchorage. These safety features helped the premium MPV to score four out of five rating in the crash test. 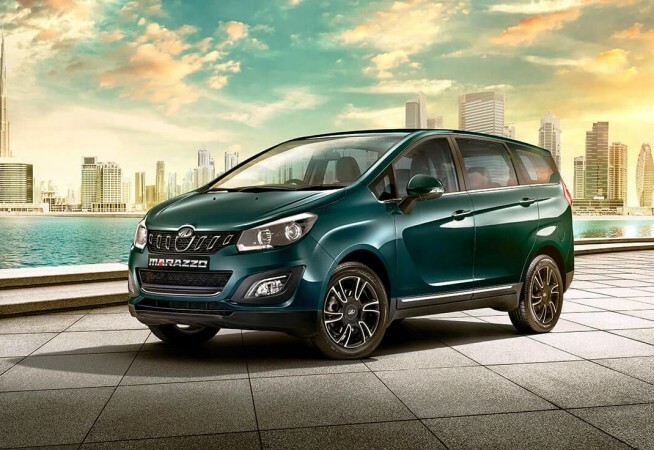 Mahindra & Mahindra's latest MPV Marazzo has been crash-tested by global safety watchdog Global New Car Assessment Programme (Global NCAP) recently and the result is pretty promising. Mahindra Marazzo achieved a four-star result in the five-star rating scale. 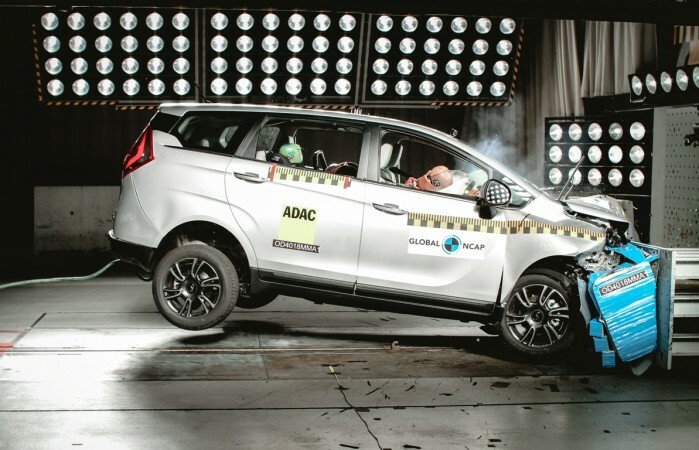 Global NCAP crash-tested a Mahindra Marazzo unit produced as from November 16. The premium MPV that comes with standard double airbags, ABS, SBR for driver and ISOFIX anchorages, reached four stars in Adult Occupant Protection and two stars for Child Occupant Protection. The crash test result report claims the protection offered to the driver and passenger's head and neck in the Marazzo was good. Driver's chest showed marginal protection while passenger's chest showed adequate protection. The bodyshell was rated as stable and it was capable of withstanding further loadings. On Child Occupants Protection, the child seat for the 3-year-old was installed forward facing with ISOFIX and top tether and was not able to prevent excessive forward movement during the impact leaving the head vulnerable while fair protection was offered to the chest. "This is a proud moment for Mahindra as the 4-star rating for Adult Occupation Protection reiterates our commitment towards safety. We have designed the Marazzo with many new safety features to ensure a safe ride for our customers," said Rajan Wadhera, President, Automotive Sector, Mahindra & Mahindra Ltd. Priced from Rs 9.99 lakh to Rs 13.90 lakh (ex-showroom), the Marazzo is offered in four variants options- M2, M4, M6, and M8. The MPV is available in seven and eight seat configurations. The premium MPV is offered in a single engine option for now. The D15 1.5-litre four-cylinder engine develops 120bhp at 3,500rpm and 300Nm of torque at 1,750-2,500rpm. The mill is offered only with a six-speed manual transmission.